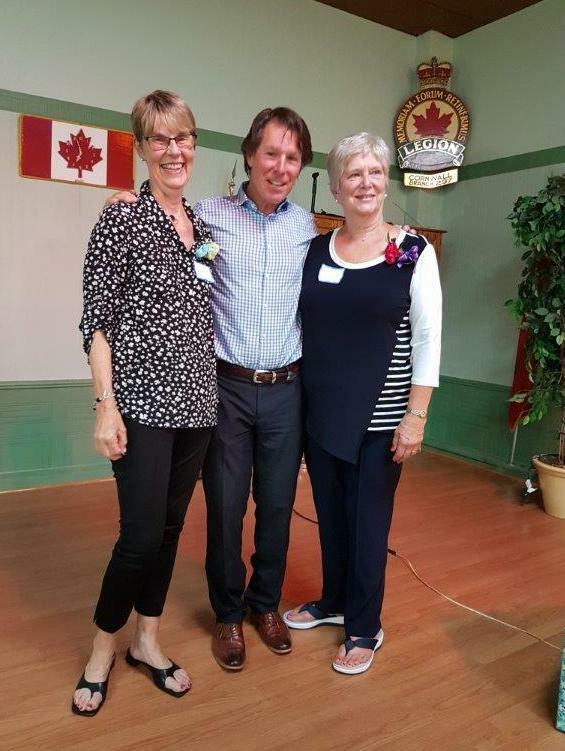 Cornwall Ontario – The annual dinner for the Alumni of the Cornwall General Hospital School of Nursing took place at the Royal Canadian Legion on June 15th. This year, the Graduating Class of June 6th. 1968 was honoured. There are 3 nurses deceased: Linda Winters Babcock, Maureen Wylie Hartle, and Marilyn Riddell. 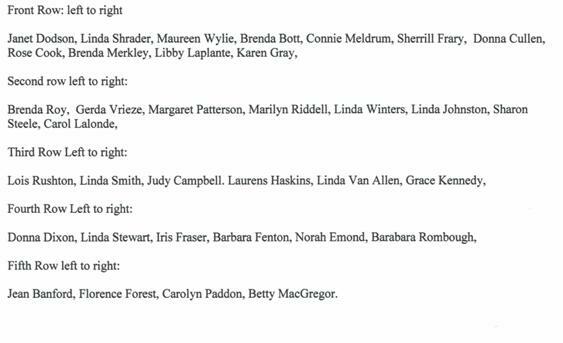 Donna Cullen Bigford, Linda Stewart Bissonnette, Judy Campbell, Lois Rushton Coleman, Linda Smith Coleman, Connie Meldrum Dingwall, Donna Dixon, Linda Van Allen Duchesne, Brenda Edwards Merkley, Jean Banford Fawthrop, Barbara Daye Fenton, Iris Sanderson Fraser, Norah Emond Grant, Grace Kennedy, Rose Cook Laniel, Libby Stewart, Margaret Patterson MacCaskill, Gerda Vrieze MacRae, Karen Gray Martin, Janet Dodson Mottiar, Carolyn Paddon Gretsinger, Sharon Steele, Betty MacGregor Tabram, Laurena Haskins Theoret, Barbara Rombough Zummach, Linda Johnston Murphy and Libby Laplante. Pommier Jewellers had a raffle of a $1000 shopping spree to benefit the CGH “Down Memory Lane Project” which is being erected at The Care Center. 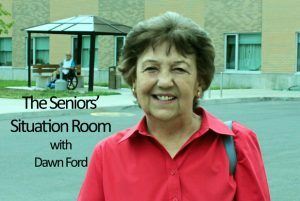 The winner was Norah Emond Grant of the Class of 1968. In this photo are Norah, Andre Pommier and the President of the CGH Nurses Alumni, Catherine Poirier. 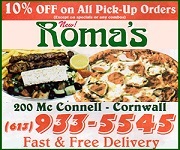 The kitchen staff of the Legion provided a scrumptious dinner as usual. Nice evening to see old friends and classmates. 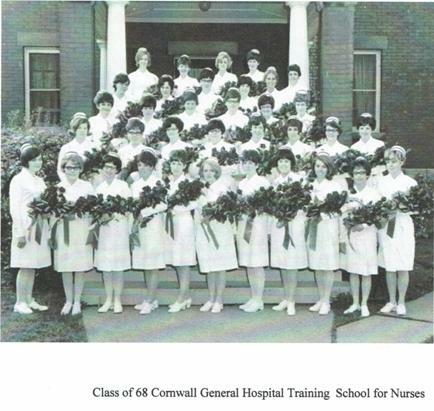 Next year the last graduating class of 1969, the year the CGH School of Nursing closed, will be celebrated. I bought some fresh coleslaw at a local grocery store that has a Deli thinking it had been made in that store. It was in my fridge for a few days so I checked it for a ‘best before’ date before eating it. The print was very small so I used a magnifying glass to read it. I was shocked to read that it may contain peanuts. I have a peanut allergy. Wow!! Was I lucky I didn’t eat it. This has to be the first time I saw a peanut warning on a container of coleslaw. Probably made in their facility that makes lots of things. Who’da thought??? I am careful when I buy food but I would not have thought to check the labels for peanuts on a coleslaw container. The little print was on the rim of the container, easy to miss as it was just where the label goes from the lid down the side of the container. It reads: “May contain: peanuts, tree nuts, sesame seafood/fish, soy, wheat and mustard” It is good that this information is on it but it would help if it was in red ink as an alert or somewhere more easily visible. I will have to be more vigilant for sure and not take anything for granted. Here is a beautiful painting by a very talented local artist, Diane Chambers. Diane normally paints with acrylics but decided to give pastels a try. 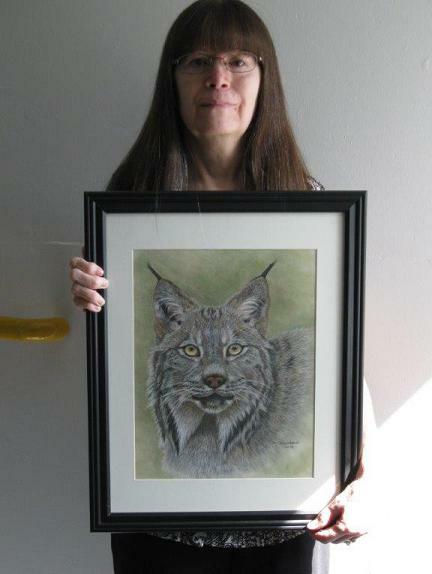 She had not painted a Lynx before either, so it was two ‘firsts’ for her. Beautiful Lynx. Thanks Diane for sharing this gorgeous painting with us. One of my favourite artists is Robert Bateman. This painting of the Lynx reminds me of some of his wonderful work. In the late 1980’s Robert Bateman came to an art store in the Cornwall Square for signing of his work, some of which was on sale in the store. I think it was called the Apple Gallery. I didn’t have any prints or paintings of his but I had a few calendars with prints of his paintings. I took out four, three for my nephews, and stood in line for a very long time waiting to see if he would sign them. I felt a bit sheepish standing there with people who had large prints to sign. But he signed the little prints from the calendars and was very gracious about it. Very handsome also, as I remember and a very nice man. It was a wonderful opportunity to meet him. Ernie Appleton, the volunteer gardener of Beek Lindsay Seniors Residence, had some wonderful assistance planting his flowers this year. 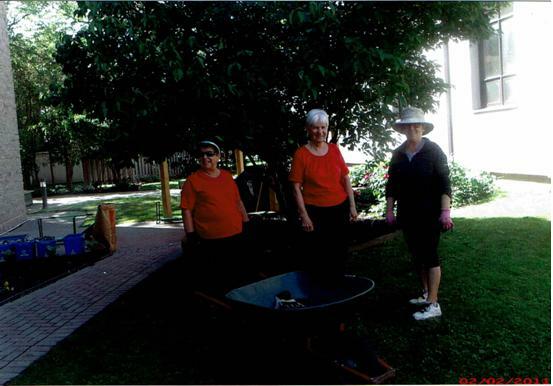 In the photo are the volunteer gardening helpers at the residence. From Lt to Rt: Lizette Lapensee , Claudette Quesnel and Francine Ledoux. 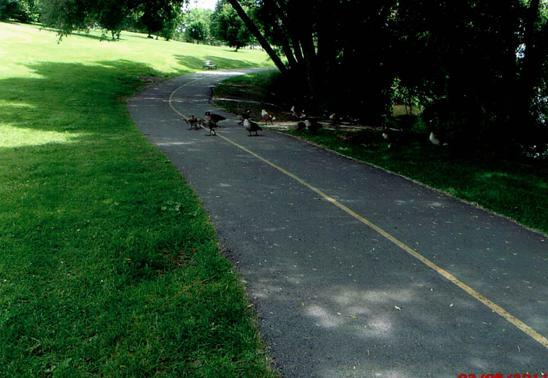 I love this photo of some Canada Geese taking a walk along the path at Lamoureux Park. They seem to be just out for a stroll, like we do, enjoying sauntering by the water. There is a little baby goose with its’ mother ambling along under mom’s watchful eye. When our lawn mower broke and wouldn’t run, my wife kept hinting to me that I should get it fixed. But somehow I always had something else to take care of first like the shed, boat, making beer…always something more important to me. Finally she thought of a clever way to make her point. When I arrived home one day, I found her seated in the tall grass, busily snipping away with a tiny pair of sewing scissors. I watched silently for a short time and then went into the house. I was gone only a minute and when I came out I handed her a toothbrush. I said, “When you finish cutting the grass, you might as well sweep the driveway.” And that is when the fight started…. The doctors say I will walk again but I will always have a limp.